Do you get inspired when you shop? Some of my favorite ideas through the years have happened when I am strolling through a store. Last night, I was at Target and saw a bag of pumpkins that is in the picture below. The bag said these pumpkins could be used for a pumpkin hunt for class parties. I thought these would also be fun for teachers, too. What if the Sunshine Committee or administrators hid these pumpkins in places around the school that are accessible for the staff such as the teachers’ lounge, office, mailbox area, etc.? 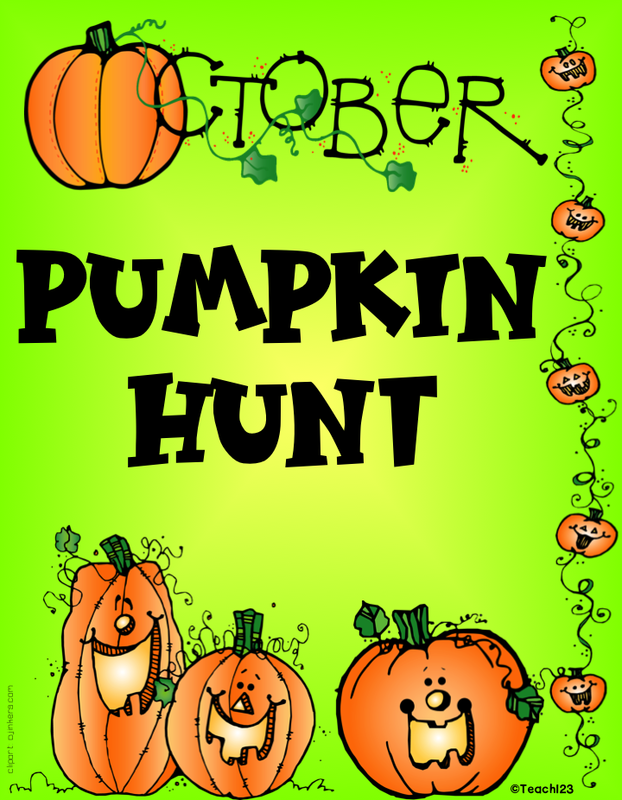 Teachers would have fun looking for them and getting a little fall themed prize, too. It would be hard to fit a prize in such a tiny prize. I would suggest writing a number on the bottom of the pumpkins. The pumpkins from Target do have candy in them so that could be prize if you don’t want to purchase fall themed prizes. 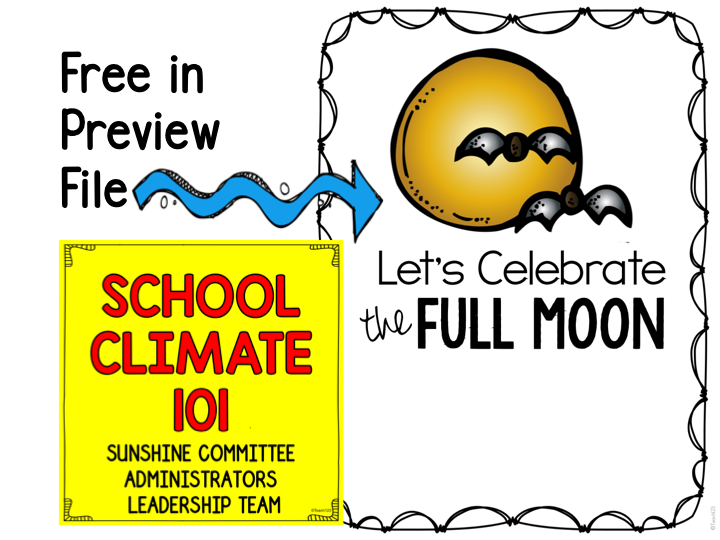 I recently finished a Sunshine Committee packet that includes a freebie in the preview file. We all know full moons can affect students’ behavior. Why not make it a special day for teachers? How about moonpies in the teachers lounge and playing songs with moon in the title at lunch? The freebie includes a list of songs. 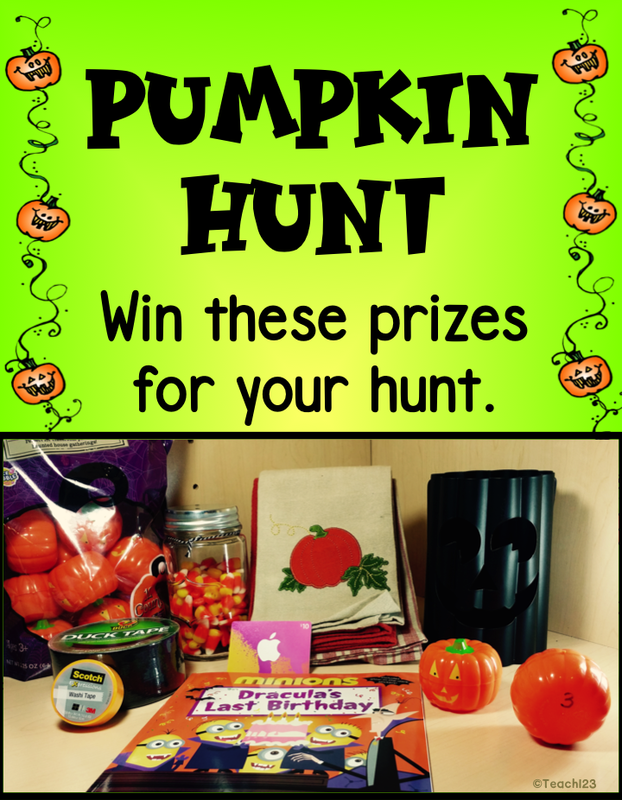 Would you like to win the prizes in the picture for your school’s Pumpkin Hunt? Click below to enter. Be sure to leave your email address so I can contact you. I put in Georgie, which is an oldie but a goodie. I didn't get to put my e mail in, it is mitduc@aol.com. I love your sunshine unit. I can't wait to use it and the target pumpkins are such a cute idea! Yes, I always keep the kiddos in mind while shopping, especially in the dollar store! Love the full moon ideas! Great time for teachers to celebrate!